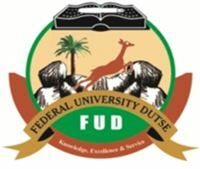 FUD admission list is out — Federal University Dutse (FUD) has released the list of candidates offered provisional admission into its DEGREE programmes for the 2018/2019 academic session. How To Check Federal University Dutse Admission List. Finally, click on ‘Check Admission Status‘ to access your FUD admission status. Offered admission into FUD? Accept or reject the offer on JAMB CAPS portal NOW! – How to Reject/Accept Your Admission on JAMB CAPS. Not offered admission yet? Keep checking the link above. Those who are yet to upload their O’level results to JAMB website (CAPS) should do so immediately as non upload of O’level Results to JAMB can affect their admission.